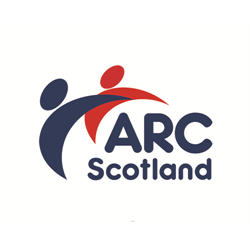 ARC Scotland is a growing Charity with a deep connection and understanding of the Scottish Social Care sector. We engage with hundreds of professionals and people who receive support to improve practice and influence change to help people to have richer and fuller lives. We facilitate forums for provider organisations in 8 local authority areas and lead influential national networks like the National Involvement Network, Scottish Transitions ForumandSupporting Offenders with Learning Disabilities (SOLD) network. ARC Scotland Training is a successful social enterprise that provides quality SQA accredited and individualised learning to the social care workforce. To meet growing demand, we require a qualified SVQ Regulated Qualifications Assessor to join our social enterprise ARC Scotland Training. You will be driven by the desire to continually improve the quality of care and support provided to people in Scotland. The successful applicant will have excellent communication skills, the ability to travel across Scotland, work independently and contribute to the future development of ARC Scotland. You must hold a relevant workplace assessor qualification D32 & D33 or A1 or L&D9Di and be qualified to SCQF L9 in Social Services and Healthcare. An L&D11 qualification or willingness to work towards this Internal Verification award would be desirable. ARC Scotland is a dynamic charity that leads the advancement of knowledge, practice and policy within Scotland’s health and Social Care sector. Our work improves front-line practice, organisational planning, national policy and enhancing peoples lives. An important part of our work is the provision of learning and development opportunities to Scotland’s health and social care workforce. Our social enterprise ARC Scotland Training provides a full range of regulated qualifications in Social Services & Healthcare and a range of specialist learning options.